Hardened steels and cast iron up to 62 HRc. Super Alloys (Hastelloy, Inconel, Nickel Base Alloys). 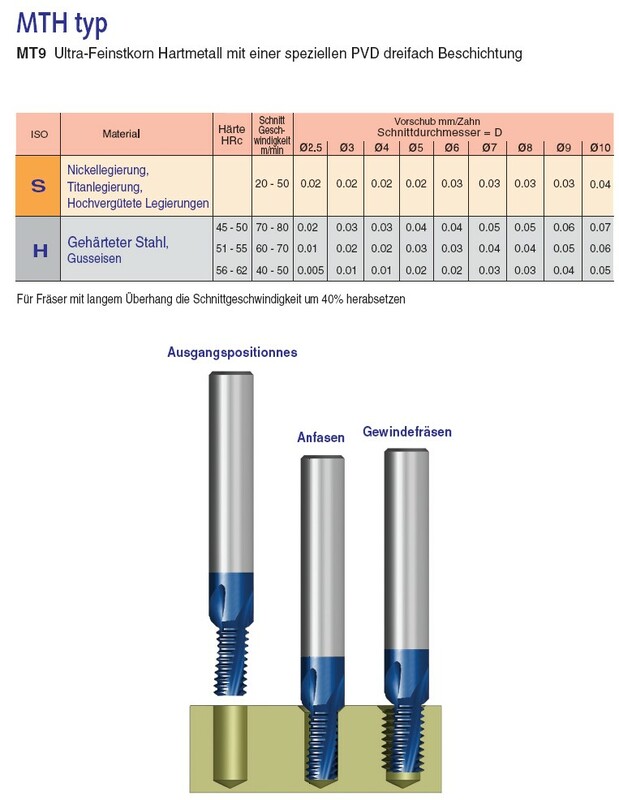 The tools provide the possibility to machine materials with a higher tensile strength and hardness using relatively high cutting data. 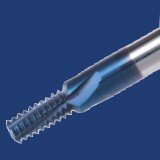 Same tool perfoms thread milling and chamfering - saves machining time. 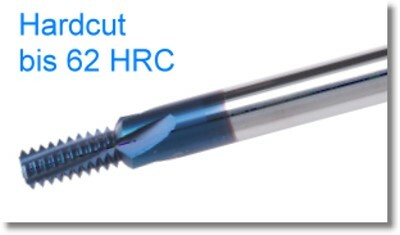 Increased cutting diameter - better rigidity and stability. Coating provides high wear and heat resistance. Ultra fine grade - dedicated for hardened materials. Short chips are produced, insure high process security. Short cycle time - increases productivity. Thread length up to 2xD.